You'll be £4.99 closer to your next £10.00 credit when you purchase Pit Lasses. What's this? Women have long been recognised as the backbone of coalmining communities, supporting their men. Less well known is the role which they played as the industry developed, working underground or at the pit head. The year 2012 is the 170th anniversary of the publication of the Report of the Second Children's Employment Commission. The report caused public outrage in May 1842, revealing that halfdressed women worked underground alongside naked men. Three months later, to protect them from moral corruption, females were banned from working underground. The Commission's report has been neglected as a historical source with the same few quotations widely used to illustrate the same headline points. And yet, across the country, around 350 women and girls described their lives and work. Together, this report and the 1841 census, produce a detailed and surprising picture of a female miner at work, at home and in her community. After 1842 females were still allowed to work above ground. Following a painful transition in the mid-1840s when some former female miners suffered severe hardship women forged a new role at pit heads in Lancashire and Scotland, and then fought to retain it against opposition from many men. This book examines the social, economic and political factors affecting nineteenth-century female coalminers, drawing out the largely untapped evidence within contemporary sources and challenging long-standing myths. It contains what may be the first identified photograph of a female miner who gave evidence in 1842 and reveals the future lives of some of those who gave evidence to the Royal Commission. industry working underground or at the pit head. Overall this is a serious re-evaluation of one of the foundation texts for modern British social and economic history and will be required reading for any student researching this subject in the future. If you are interested in social history, or have ancestors who worked in the coal mining industry, or have ancestors who worked in the coal mining industry, you will find this book really interesting. This comprehensive exploration of the subject is a revelation about the conditions in which they worked, the social issues that made females take coalmining jobs and the outcry following the Report of the Children's Employment Commission. Written by a Sheffield-born author, it shows a real understanding of the subject of coalmining in general. Women were an integral part of the mining industry in West Lancashire but there was an outrage when a commission suggested women were working underground with naked men. It led to them being confined to above ground duties but was it about decency or simply men protecting their own jobs. With its wider background of contemporary living conditions, it makes Pit Lasses an eye-opening, even quite shocking read, illuminating, as it does, an aspect of Victorian life that mainstream social histories have hitherto largely overlooked. While tracing her family tree, Denise Bates discovered her great, great, great grandmother was a miner. It sparked Denise's interest and led to her research, culminating in the publication of Pit Lasses: Women and Girls in Coalmining 1800-1914. It tells the story of women who worked in mines in Barnsley and elsewhere, including her relative Rebecca Whitehead, who lived between 1791 and 1873. The book took her 18 months to complete. Work down South Yorkshire coal mines was hard, hot and heavy work - and no place for a lady... Well at least after 1842, that was. While searching for her anscestors, Denise Bates discovered her great, , great, great grandmother from Barnsley was a miner and that she was in fact among the several thousand women working underground. Denise's research found girls as young as nine years old working down the mines. 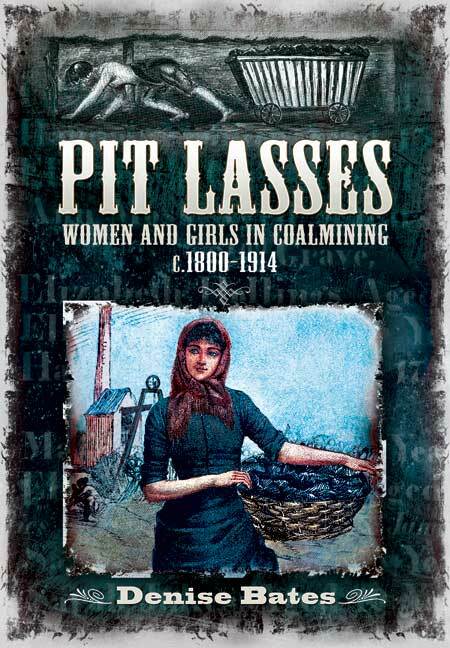 She has now put together a book called Pit Lasses. It covers all aspects of female mining in Scotland, Lancashire, Yorkshire and South Wales, the key areas where it was discovered in 1842. Included are the stories of the Eggley sisters, Sarah Gooder and Elizabeth Day, whose family experiences of multiple bereavements in mining tragedies show the brutal reality of mining in the mid-nineteenth century and the astonishing spirit of mining families. Pit Lasses examines the social, economic and political factors affecting nineteenth century female coalminers, drawing out the largely untapped evidence within contemporary sources and challenging long-standing myths. They helped haw coal from Yorkshire's pits - helped to change the law. Now the stories of the women and children from the Huddersfield area who worked as miners in the 19th century have been brought together in a new book. "My book aims to re-evaluate the lives of these women and I would like to think over the next few years more information about them will be uncovered. The most enduring image of women to be associated with mining communities of the North is that of the social wife and mother holding the family together at home. This year is the 170th anniversary of the publication of the report, in which hundred of women and girls described their work, exposing endurance of terrible hardships and also, quite often, violence at the hands of the men they worked with or under. With it's wider background of contemporary living conditions, it makes Pit Lasses an eye-opening, even quite shocking, read, illuminating, as it does, an aspect of Victorian life that mainstream social histories have hitherto largely overlooked. Women have long been recognised as the backbone of coalmining communities but less well known is the role they played as the industry developed, working underground. In 1842 a report revealed that in some mines half-dressed women worked alogside naked men, resulting in a ban of women working underground. Bates’ superbly detailed and well-researched book, which contains photographs and new illustrations of the evidence of some of the women interviewed by the Commission, reveals that female miners were decent, moral women fully capable of making decisions about their own lives and their own jobs. Pit Lasses adds enormously to our understanding of the role of women in coalmining as well as shedding new light on Victorian society and its values. Two hundred years ago, the discovery that women worked half naked, underground shocked the nation. Within a few months, women were banned from working underground - yet the story of their role in developing the coal industry is little known. Women were responsible for carrying the coal along the tunnels, winching it out of the mine and then grading it. Girls as young as 6 were employed to sit in the dark opening trap doors to allow people to pass by. Despite the unpleasantness of their work, the exhaustion and physical problems it caused; many of the girls and young women preferred it to working in service or in the factories. It offered them greater independence and the wages were higher. This is a fascinating story. Denise Bates has used the evidence these women provided to the Children's Employment commissioners to create a book highlighting their lives, social backgrounds and the role they played in developing the coal industry. 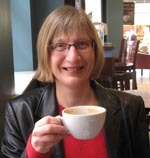 Denise Bates read Modern History at St Anne’s College, Oxford, specialising in the period 1815 – 1914. A Chartered Accountant by profession, her interests now relate to the voluntary and community sector, research and writing. Denise has written articles on a variety of topics for national magazines and gives talks related to her topics of historical research.